Let's fight host story got twisted after MonK Myung talked with Hyun Ji and beg her to leave Bong Pal site, its for his better. As for we were curious about Bong Pal's reaction. Its took seven days to wait and we finally finish watching episode 11. Bong Pal become too heart broken after Hyun Ji suddenly disappear he searched her around and every possible place he could look up. After getting too tired he came back home and saw the birthday cake and a card by Monk Myung. He call Monk Myung and ask him to meet up. Bong Pal ask is it him who told Hyun Ji to leave. Knowing that it was the truth and had a cold argument Bong Pal again leave to search Hyun Ji. Another Ghost appeared it was a high way road ghost who was a female. It appears to be another scary one. Chul Sang survey the spot and tried to contact Bong Pal and In Rang but couldn't reach any of them. He was damn worried why no body is answering. Professor Jo visit the temple where Bong Pal mother ashes were. We were surprised by seeing him there what's his motive. He talked seeing the picture "If you wouldn't have done such thing ... i wouldn't have turned like this" , "Why did you leave that keep annoying me until now". The assistant Monk of the temple also surprised seeing him. Both the detectives were on another robbery case. During the investigation the senior detective notice something and ask "Do people put the pictures of their children like this" .. i haven't seen any of professor jo's picture when visited his mother's house. Something seems off also the expression of the mother become change when she saw him visit her. Finally Bong pal found Hyun Ji near the amusement park and ask her to come home with him. She refused saying "i got fed up of all this .. there is no future living with you .. how can ghost live among human" there was a big arguments with facts between them lastly Hyun ji said "I just cling to you because of my memories and ascend". This was the cruel reality for Bong Pal hard to believe what Hyun Ji saying to him. Chul Sang and In Rang come to see Bong Pal because they couldn't reach him. They found him all drunk outside the convenience store. In Rang ask about Hyun Ji and shock to hear Hyun Ji left. He become dishearted and join Bong Pal for the drink. Both become too drunk and passed out. Chul Sang Piggy back Bong Pal back to home. After he piggy back In Rang his back hurts. We laughed on this situation why Chul Sang had to go for all this trouble, but actually he was a good guy he helps and care for others. Monk Myung receive the call of Shaman who told him to meet the assistant Monk at the temple, its about Bong Pal's father. Listening this he hurried and arrived at the temple. 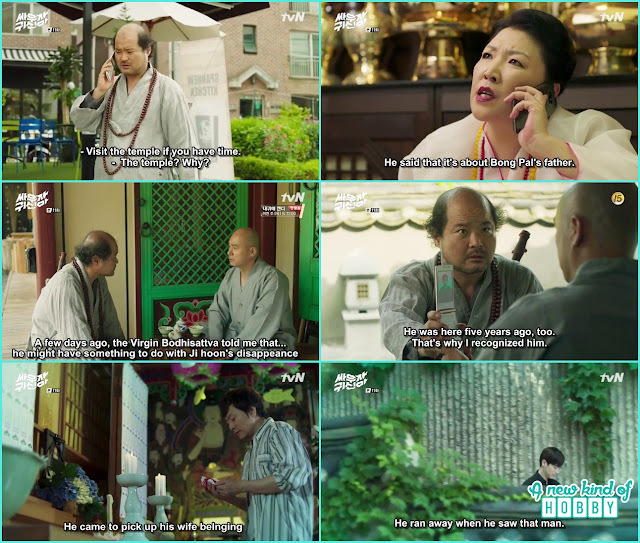 The assistant MonK told everything about Professor Jo visiting few days ago and also he is the same person who visited 5 years ago and seeing his face Bong Pal's father ran away and never came back. The assistant Monk was also suspicious about Professor Jo he said Bong Pal father is missing seems that young man is related somehow. Monk Myung confirms about the young man showing Professor Jo pictures and knowing its the truth he become all worried about Bong Pal. Hyun Ji was wondering near "Daehan Study Essay Academy" and encounter the signal accident. Her memories started appearing unfortunately Professor Jo saw her and become all worried "Did she remember everything?". My sister already guess that Hyun Ji's accident has some connections with the Professor and now it revealed. Hyun ji remembers her accident, her mother and the doctor gown with Hanil University. She went to Hanil hospital and saw her mother and came with her to the house. There she saw her room, her academy pictures and many things and talk to herself "This is where i use to live". She feels sad for her mother who was lonely. My sister was all worried Professor Jo followed them it would be that for Hyun and for her mother. He is the deadlist Evil. I calm her down let's see what happened. The next scene i was surprised to see the evil professor jo was staring at Hyun Ji's house. So he found out where Hyun Ji live now her and her family's life in danger. We really feel pity for poor hyun ji. Bong Pal along with In Rang and Chul Sang on the way to capture the highway road ghost. In Rang told there were 15 accident till now and accident started after the road opens. The people told they saw a ghost and accident happen. Suddenly the radio on automatically In Rang tried to off it but said its broken and Bong Pal shouted "Oh look infront". Chul Sang scared that he hit a human. They came out and check no body was there it was the ghost. Bong Pal check around to find where the ghost is now both chul sand and in Rang we scared they went back to sit in the car the ghost was lying on the road and grab Chul Sand leg. They including us were scared to death. It was a really really scary appearance. Both started shouting Bong Pal came and fight with the ghost and somehow manage to vanished him. The next moment he turned around a car hit him. We though he would be the next to went in coma. But it wasn't serious he injured his forehead and elbow. 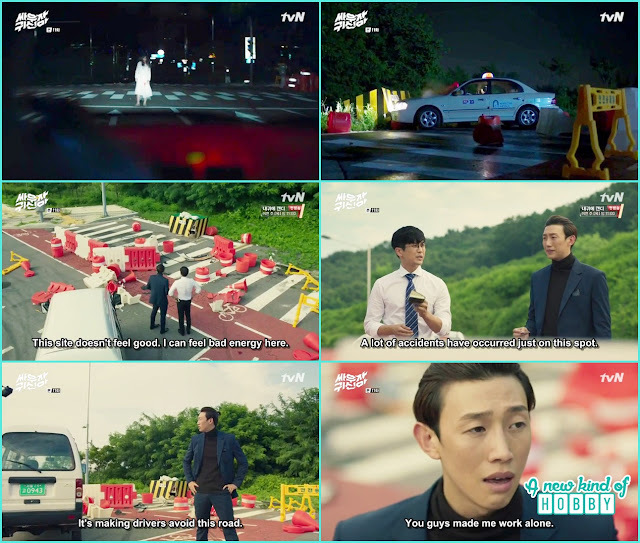 Both Ing Rang and Chul Sang become worried and take him to Hanil hospital. Hyun Ji's mother also receive a call and hurried back to the hospital. The doctor said "She is in shock we better move her to the ICU". Finally Hyun Ji finds she is not dead but still alive. 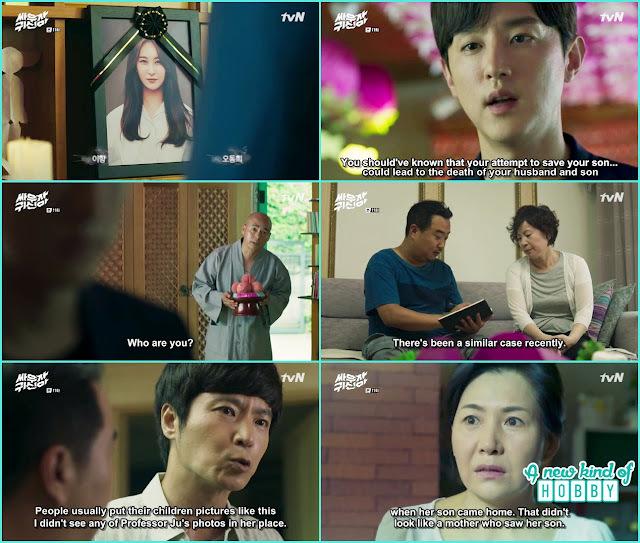 Professor Jo followed them back to the hospital he saw Hyun Ji and receives a call, the caller told every detail about Hyun Ji. He confirms about the chances of coma patients to come back to life we become more of suspicious of Professors Jo's Activity. Hyun Ji saw Bong pal at the hospital she became all worried and call his name she wanted to tell him about she's being alive. 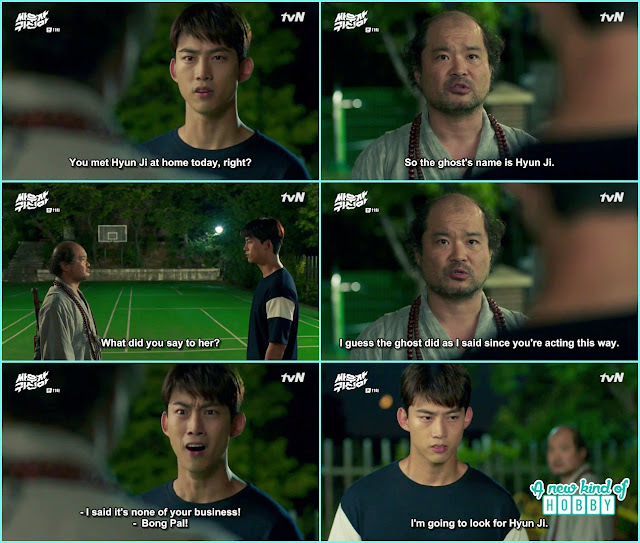 Bong Pal was his way back to home but Hyun ji manage to stop him. She ran towards him hugged him and said "Bong Pal i'm sorry i won't leave you again". We never expect Professor Jo to attack Hyun Ji we though he would wait for her to gain consciousness and ask for the thing he wants. But he was in a hurry he used his evil power to kill Hyun Ji. Her spirit was outside with Bong Pal she wanted to tell Bong Pal that she's alive but feel a shock and started to disappear. Bong Pal was all worried what's happening. The doctors came it was the emergency, there weren't any signs of Hyun Ji vitals on the machine. The professor smiled wickedly he though Hyun Ji is dead. But her spirit came back and with some efforts of the doctors she came back to life and opened her eyes. We were happy for Hyun Ji. The episode ends here all we were curious what will Professor going to do now? 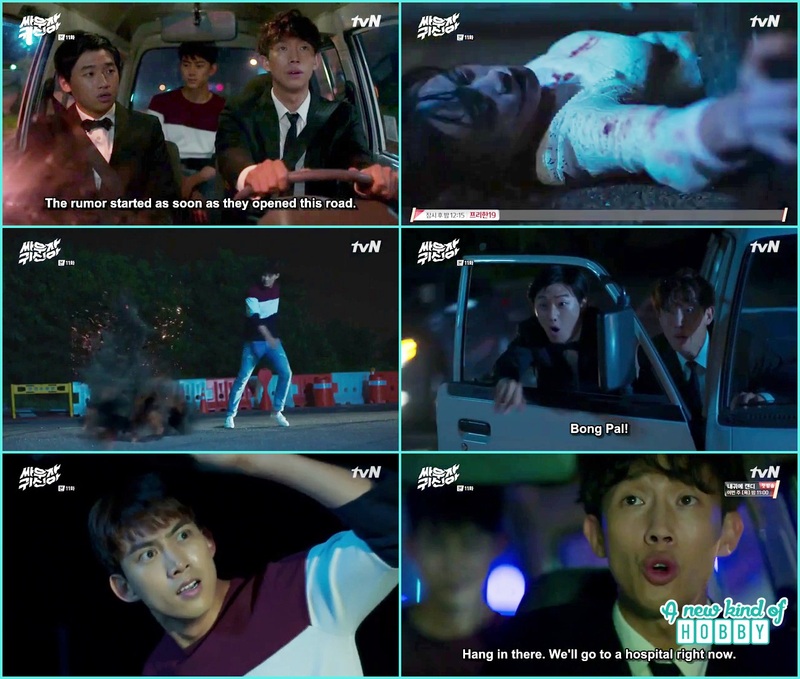 Will Hyun ji able to recognize Bong Pal, will Bong Pal able to find Hyun Ji and the most important what was the thing Professor is after and why its related to Hyun ji now? To knew all this stay tuned for episode 12 review. Till have a happy kdrama watching.